Are Your Dentures Coming Loose? Do you wear dentures and have to continually get them relined, refit or replaced because they repeatedly come loose? No matter how well-made and perfectly fit they are in the beginning, this loosening is inevitable over time. It makes denture wearing an annoying, minimally-functional, and sometimes even painful tooth replacement option. As periodontists, Dr. Rapoport and Dr. Schuler are experienced experts in placing dental implants to support replacement teeth—including dentures—that are stable, functional and lifelike. Missing teeth and wearing dentures cause a gradual progression of bone loss until the face appears to “collapse” in on itself. The bone that supports your teeth needs the pressure from regular chewing and biting to maintain its volume and density. When your teeth are lost, that pressure is absent and the bone around the missing teeth gradually dissolves away. If all your teeth are missing, this causes both of your dental arches to lose height and thickness and results in the lower third of your face acquiring a “collapsed” appearance. The pressure exerted by traditional dentures does not help, and actually accelerates bone loss and facial collapse. Thus the dentures will eventually become loose and need to be refit. As the jawbone underneath them continues to shrink, it will become harder and harder to make the dentures fit well at all. Loose dentures also cause rubbing and irritation that can lead to painful sores. You also have to use messy adhesives to keep them in place, and even then they can click or make other noises, or fall out while you are eating or talking. Additionally, dentures provide only 10% of natural chewing power and make it difficult to eat all the foods you need for proper nutrition. Dr. Rapoport and Dr. Schuler are able to provide most patients with implants and full-arch replacement teeth in a single day. Dental implants are the strongest and most stable solution for missing teeth. Dr. Rapoport and Dr. Schuler are able to place implants to support your denture so that it fits stably, without slipping, and has significantly increased chewing power. Due to their use of advanced technology, they can even provide most patients with dental implants and full-arch replacement teeth on the same day. 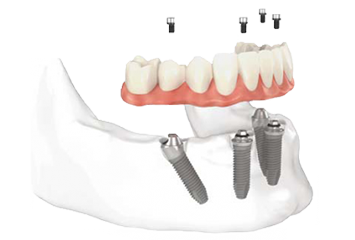 The most economical implant replacement solution consists of using dental implants to increase the stability of dentures without permanently fixing them into the mouth. With this method, the denture is stabilized by implants with ball attachments that snap into corresponding attachments on the underside of a denture. The denture is held snugly in place while still being removable. Our doctors generally recommend two implants on the lower arch and four for the upper arch. Implant-retained removable dentures will not slip, fall out or need adhesives. Your dentures will not irritate your gums or cause sores or pain. This option does not actually support the denture, however—it only stabilizes it. Dentures supported by implants in this way provide about 20% of natural chewing power and do not prevent bone loss. The strongest and most stable solution for a denture wearer is to have replacement teeth permanently fixed onto and fully supported by implants. Dr. Rapoport or Dr. Schuler can give you full-arch replacement teeth that are securely fixed in your mouth using the breakthrough All-on-4 procedure. Your new teeth will have 80 percent of full chewing power, won’t slip or irritate your gums, and will provide the chewing pressure necessary to prevent any further bone loss. It is called the “All-on-4®” procedure because only four implants are needed to stably support an entire arch of fixed-in teeth. 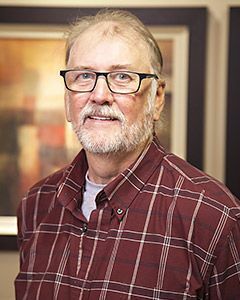 This advanced technology makes it possible for most patients—even those with heavy bone loss—to receive these new fixed-in teeth without the need for bone grafting. In the vast majority of cases, we can place your implants and have you walking out with new replacement teeth on the very same day!